Can we agree that Albert Einstein was a scientist? That he was a good one (in fact, a great one)? And that his scientific work has been immeasurably influential? I’m asking these silly questions for a couple of reasons. One: Einstein would, in the present competitive academic environment, have a really hard time getting recognized as a scientist of some stature. He worked in a marginal branch of science – more on this in a moment – and the small oeuvre he published (another critical limitation now) was not written in English but in German. His classic articles bore titles such as “Die vom Relativätsprinzip geforderte Trägheit der Energie” and appeared in journals called “Annalen der Physik” or “Beiblätter zu den Annalen der Physik”. Nobody would read such papers nowadays. Two, his work was purely theoretical. That means that it revolved around the production of new ideas, or to put it more bluntly, around imagination. These forms of imagination were not wild or unchecked – it wasn’t “anything goes”. They were based on a comprehensive knowledge of the field in which he placed these ideas (the “known facts of science”, one could say, or “the state of the art” in contemporary jargon ), and the ideas themselves presented a synthesis, sweeping up what was articulated in fragmentary form in various sources and patching up the gaps between the different fragments. His ideas, thus, were imagined modes of representation of known facts and new (unknown but hypothetical and thus plausible or realistic) relations between them. There was nothing “empirical” about his work. In fact, it took decades before aspects of his theoretical contributions were supported by empirical evidence, and other aspects still await conclusive empirical proof. He did not construct these ideas in the context of a collaborative research project funded by some authoritative research body – he developed them in a collegial dialogue with other scientists, through correspondence, reading and conversation. In the sense of today’s academic regime, there was, thus, nothing “formal”, countable, measurable, structured, justifiable, or open to inspection to the way he worked. The practices that led to his theoretical breakthroughs would be all but invisible on today’s worksheets and performance assessment forms. As for “method”, the story is even more interesting. Einstein would rather systematically emphasize the disorderly, even chaotic nature of his work procedures, and mention the fact (often also confirmed by witnesses) that, when he got stuck, he would leave his desk, papers and notebooks, pick up his violin and play music until the crucial brainwave occurred. He was a supremely gifted specialized scholar, of course, but also someone deeply interested (and skilled) in music, visual art, philosophy, literature and several other more mundane (and “unscientific”) fields. His breakthroughs, thus, were not solely produced by advances in the methodical disciplinary technique he had developed; they were importantly triggered by processes that were explicitly non-methodical and relied on “stepping out” of the closed universe of symbolic practices that made up his science. Imagine, now, that we would like to train junior scholars to become new Einsteins. How would we proceed? Where would we start? Those familiar with contemporary research training surely know what I am talking about: students are trained to become “scientists” by doing the opposite of what turned Einstein into the commanding scientist he became. The focus these days is entirely – and I am not overstating this – on the acquisition, development and refining of methods to be deployed on problems which in turn are grounded in assumptions by means of hypotheses. Research training now is the training of practicing that model. The problems are defined by the assumptions and discursively formulated through the hypotheses – so they tolerate little reflection or unthinking, they are to be adopted. And what turns the student’s practices into “science” is the disciplined application of acquired methods to such problems resting on such assumptions. This, then, yields scientific facts either confirming or challenging the “hypotheses” that guided the research, and the production of such facts-versus-hypotheses is called scientific research. Even more: increasingly we see that only this procedure is granted the epithet of “scientific” research. The stage in which ideas are produced is entirely skipped. Or better, the tactics, practices and procedures for constructing ideas are eliminated from research training. The word “idea” itself is often pronounced almost with a sense of shame, as an illegitimate and vulgar term better substituted by formal jargonesque (but equally vague) terms such as “hypothesis”. While, in fact, the closest thing to “idea” in my formulation is the term “assumption” I used in my description of the now dominant research model. And the thing is that while we train students to work from facts through method to hypotheses in solving a “problem”, we do not train them to questions the underlying assumptions that formed both the “problem” they intend to address and the epistemological and methodological routes designed to solve such problems. To put it more sharply, we train them in accepting a priori the fundamental issues surrounding and defining the very stuff they should inquire into and critically question: the object of research, its relations with other objects, the “evidence” we shall accept as elements adequately constructing this object, and the ways in which we can know, understand and communicate all this. We train them, thus, in reproducing – and suggestively confirming – the validity of the assumptions underlying their research. “Assumptions” typically should be statements about reality, about the fundamental nature of phenomena as we observe and investigate them among large collectives of scientists. Thus, an example of an assumption could be “humans produce meaning through the orderly grammatical alignment of linguistic forms”. Or: “social groups are cohesive when they share fundamental values, that exist sociocognitively in members’ minds”. Or “ethnicity defines and determines social behavior”. One would expect such assumptions to be the prime targets of continuous critical reassessment in view (precisely) of the “facts” accumulated on aspects that should constitute them. After all, Einstein’s breakthroughs happened at the level of such assumptions, if you wish. Going through recent issues of several leading journals, however, leads to a perplexing conclusion: assumptions are nearly always left intact. Even more: they are nearly always confirmed and credentialed by accumulated “facts” from research – if so much research can be based on them, they must be true, so it seems. “Proof” here is indirect and by proxy, of course – like miracles “proving” the sacred powers of an invoked Saint. Such assumptions effectively function not as statements about the fundamental nature of objects of research, open for empirical inspection and critique, but as axiomatic theses to be “believed” as a point of departure for research. Whenever such assumptions are questioned, even slightly, the work that does so is instantly qualified as “controversial” (and, in informal conversations, as “crackpot science” or “vacuous speculation”). And “re-search”, meaning “searching again”, no longer means searching again da capo, from step 1, but searching for more of the same. The excellent execution of a method and its logic of demonstration is presented as conclusive evidence for a particular reality. Yes, humans do indeed produce meaning through the orderly grammatical alignment of linguistic forms, because my well-crafted application of a method to data does not contradict that assumption. The method worked, and the world is chiseled accordingly. Thus we see that the baseline intellectual attitude of young researchers, encouraged or enforced and positively sanctioned – sufficient, for instance, to obtain a doctoral degree and get your work published in leading journals, followed by a ratified academic career – is one in which accepting and believing are key competences, increasingly even the secret of success as a researcher. Not unthinking the fundamental issues in one’s field, and abstaining from a critical inquisitive reflex in which one looks, unprompted, for different ways of imagining objects and relations between them, eventually arriving at new, tentative assumptions (call them ideas now) – is seen as being “good” as a researcher. The reproductive nature of such forms of research is institutionally supported by all sorts of bonuses. Funding agencies have a manifest and often explicit preference for research that follows the clear reproductive patterns sketched above. In fact, funding bodies (think of the EU) often provide the fundamental assumptions themselves and leave it to researchers to come up with proof of their validity. Thus, for instance, the EU would provide in its funding calls assumptions such as “security risks are correlated with population structure, i.e. with ethnocultural and religious diversity” and invite scientific teams to propose research within the lines of defined sociopolitical reality thus drawn. Playing the game within these lines opens opportunities to acquire that much-coveted (and institutionally highly rewarded) external research funding – an important career item in the present mode of academic politics. There are more bonuses. The reproductive nature of such forms of research also ensures rapid and high-volume streams of publications. The work is intellectually extraordinarily simple, really, even if those practicing it will assure us that it is exceedingly hard: no fundamental (and often necessarily slow) reflection, unthinking and imaginative rethinking are required, just the application of a standardized method to new “problems” suffices to achieve something that can qualify as (new or original) scientific fact and can be written down as such. Since literature reviews are restricted to reading nothing fundamentally questioning the assumptions, but reading all that operates within the same method-problem sphere, published work quickly gains high citation metrics, and the journals carrying such work are guaranteed high impact factors – all, again, hugely valuable symbolic credit in today’s academic politics. Yet, reading such journal issues in search for sparkling and creative ideas usually turns into a depressing confrontation with intellectual aridity. I fortunately can read such texts as a discourse analyst, which makes them at least formally interesting to me. But that is me. Naturally, but unhappily, nothing of what I say here is new. It is worth returning to that (now rarely consulted) classic by C. Wright Mills, “The Sociological Imagination” (1959) to get the historical perspective right. Mills, as we know, was long ago deeply unhappy with several tendencies in US sociology. One tendency was the reduction of science to what he called “abstracted empiricism” – comparable to the research model I criticized here. Another was the fact that this abstracted empiricism took the “grand theory” of Talcott Parsons for granted as assumptions in abstracted empirical research. A poor (actually silly) theory vulnerable to crippling empirical criticism, Mills complained, was implicitly confirmed by the mass production of specific forms of research that used the Parsonian worldview as an unquestioned point of departure. The title of his book is clear: in response to that development, Mills strongly advocated imagination in the sense outline earlier, the fact that the truly creative and innovative work in science happens when scientists review large amounts of existing “known facts” and reconfigure them into things called ideas. Such re-imaginative work – I now return to a contemporary vocabulary – is necessarily “slow science” (or at least slower science), and is effectively discouraged in the institutional systems of academic valuation presently in place. But those who neglect, dismiss or skip it do so at their own peril, C. Wright Mills insisted. It is telling that the most widely quoted scholars tend to be people who produced exactly such ideas and are labeled as “theorists” – think of Darwin, Marx, Foucault, Freud, Lévi-Strauss, Bourdieu, Popper, Merleau-Ponty, Heidegger, Hayek, Hegel and Kant. Many of their most inspiring works were nontechnical, sweeping, bold and provocative – “controversial” in other words, and open to endless barrages of “method”-focused criticism. But they influenced, and changed, so much of the worldviews widely shared by enormous communities of people worldwide and across generations. It is worth remembering that such people did really produce science, and that very often, they changed and innovated colossal chunks of it by means of ideas, not methods. Their ideas have become landmarks and monuments of science (which is why everyone knows Einstein but only very few people know the scientists who provided empirical evidence for his ideas). It remains worthwhile examining their works with students, looking closely at the ways in which they arrived at the ideas that changed the world as we know it. And it remains imperative, consequently, to remind people that dismissing such practices as “unscientific” – certainly when this has effects on research training – denies imperious scientific efforts, inspiring and forming generations of scientists, the categorical status of “science”, reserving it for a small fraction of scientific activities which could, perhaps far better, be called “development” (as in “product development”). Whoever eliminates ideas from the semantic scope of science demonstrates a perplexing lack of them. And whoever thinks that scientific ideas are the same as ideas about where to spend next year’s holiday displays a tremendous lack of familiarity with science. Much of what currently dominates the politics and economies of science (including how we train young scientists) derives its dominant status not from its real impact on the world of knowledge but from heteronomic forces operating on the institutional environments for science. The funding structure, the rankings, the metrics-based appraisals of performance and quality, the publishing industry cleverly manipulating all that – those are the engines of “science” as we now know it. These engines have created a system in which Albert Einstein would be reduced to a marginal researcher – if a researcher at all. If science is supposed to maintain, and further develop, the liberating and innovative potential it promised the world since the era of Enlightenment, it is high time to start questioning all that, for an enormous amount of what now passes as science is astonishingly banal in its purpose, function and contents, confirming assumptions that are sometimes simply absurd and surreal. We can start by talking to the young scholars we train about the absolutely central role of ideas in scientific work, encourage them to abandon the sense of embarrassment they experience whenever they express such ideas, and press upon them that doing scholarly work without the ambition to continue producing such ideas is, at best, a reasonably interesting pastime but not science. When “scientific” became a synonym for “unrealistic”. “From Adam Smith in 1776 to Irving Fisher in 1930, economists were thinking about intertemporal choice with Humans in plain sight. Econs began to creep in around the time of Fisher, as he started on the theory of how Econs should behave. 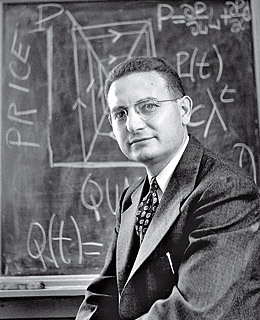 But it fell to a twenty-two-year-old Paul Samuelson, then in graduate school, to finish the job”. (Richard H. Thaler, Misbehaving: The Making of Behavioral Economics, p.89; New York: Norton, 2015). Richard Thaler, in this wonderful book, uses the terms “Humans” and “Econs” to distinguish between, respectively, real people observed in real life, having real interests, attitudes and modes of thought and behavior that are often, let us say, suboptimal; “Econs”, by contrast, are fictional characters, ideal people who don’t have passions or biases, are always rational, possess a maximum of information and are able to convert this linearly into economic behavior. Thaler’s book is a powerful argument in favor of an Economics science that keeps track of, and explains, Human behavior as, at least, a qualification to the kinds of fictional predictions of Econs’ behavior that are the Economics mainstream’s occupation. In so doing, Thaler also directs our attention towards the small historical window in which this current mainstream’s doctrine occurred and flourished. For almost two centuries, Economics was precoccupied with real markets, customers, prices and policies – Adam Smith’s Theory of Moral Sentiments setting the scene for an Economics that dealt with the whims of human social behavior. The discipline abandoned this focus about merely half a century ago, when Samuelson, Arrow and some others replaced muddled descriptions of reality by elegant mathematical “models”, supposed to be of absolute and eternal precision and capable of bypassing the uncertainties and historical situatedness of real human minds. When critics pointed towards such minds (and their tendency to violate the rules of such elegant models), the response was that, willingly or not, people in economic activities would behave “as if” they had done the intricate calculations captured in the models. Thaler’s book is a lengthy and pretty detailed refutation of that “as if” argument: if nobody really actually operates in the ways laid down in mathematical models, why not take such deviations – “misbehaving” Humans – seriously? For someone such as myself, involved in ethnographic studies of Humans and their social behavior, this question is compelling and the arguments it provokes inescapable. Thaler is not a nobody in his field – he’s the 2015 President of the American Economics Association; he will be able to ask this question urbi et orbi and with a stentorian voice. There might be some obstacles, though. Interestingly, the kinds of Economics designed by Samuelson and his comrades were (and are) seen as truly “scientific”. The conversion of a science grounded in observations of actually occurring behavior to a science concerned with abstract mathematical modeling was seen as the moment at which Economics became a real science, a complex of knowledge practices not tainted by the fuzziness of actual social facts but aiming at absolute Truth – something invariably expressed not in prose but in graphics, tables and figures, in which a new abstract model could be seen as a major scientific breakthrough (just look at the list of Economics Nobel Prize winners since the 1960s, and read the citations for their selection). As for the teaching and training of aspiring economists, it was thought that they would now be truly “scientific”, since students would learn abstract and ideal frameworks suggested to be absolutely generative in the sense that any form of real behavior could be measured against it and explained in its terms. No more nonsense, no more description – a normative theory such as that of Samuelson (sketching how ideal people should act) would henceforth be presented as a descriptive one (effectively documenting and explaining how they actually act) as well – an absolute theory, in other words. The shift away from “realism” – the aim of descriptive theories – towards ideal-typical modeling – the aim of normative theories – was seen as irrelevant. Economics became “scientific” as soon as it abandoned realism as an ambition. It is interesting to see that in post-World War II academics, similar moves were made in different disciplines. Chomsky’s revolution in Linguistics (caused by his Syntactic Structures, 1957) is an example. 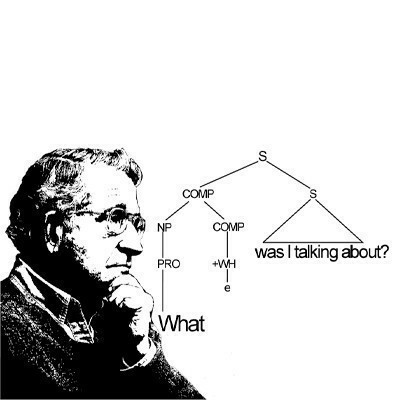 Whereas Linguistics until Chomsky was largely driven by descriptive aims and methods (go out and describe a real language), in which careful empirical description and comparison would ultimately lead to adequate generalization (Saussure’s Langue), Chomsky saw real Human language as propelled by an abstract formal and generative competence, describable as a finite set of abstract rules capable of generating every possible sentence in a language. This, too, was seen at the time as a major leap towards scientific maturity, and senior philosophers of science (already accustomed to see formalisms such as mathematical logic as the purest forms of meaning) argued that, with Chomsky, Linguistics had finally become a “science”. Linguists, from now on, would no longer do fieldwork – the interest in listening to what real people actually said was disqualified – but rely on “introspection”: one’s own linguistic intuitions were good enough as a base for doing “scientific” Linguistics. It took half a century of sociolinguistics to replace this withdrawal from realism with a renewed attention for actual variation and diversity in real language. Contemporary sociolinguistics, consequently, operates towards Linguistics very much like Thaler’s Behavioral Economics towards mainstream Economics: as a sustained attempt at making this “science” realistic again. Similar stories can be told with respect to disciplines such as psychology and sociology, and later cognitive science, where the desire to become “scientific”, in the same era, led to a canonical “science” in which white-room experiments and quantifiable surveys replaced actual observation of situated social behavior and attention to what people really did and say about themselves and society. There, too, the assumptions were the same: the actual social behavior of people is driven by a “deeper” abstract level of psychological, social and cognitive processes which can be captured and tested by detaching individuals from their real-life environments, submitting them to testing procedures that bear no connection whatsoever with any other actual form of social and meaningful behavior. Thus, cognitive, psychic and emotional behavior can be accurately and “scientifically” studied by putting individuals into an MRI scanner, where they stay entirely immobile and cut off from any outside stimulus for 45 minutes. The outcomes of such procedures (quite paradoxically called “empirical” by practitioners) are presented, remarkably (or better, incredibly), as accurate accounts of real, situated and contextually sensitive social and mental activity. Abstract modeling of what we could call “Psychons”, here as well, is not seen as a normative enterprise but as a descriptive one as well, predicting (with various degrees of accuracy) Human behavior. This study of Psychons, then, is the real “science”, often rhetorically opposed to and contrasted with the “storytelling” or “journalism” of research grounded in actual observation and description of Humans (turning one of the 20th century’s most influential intellectuals, Sigmund Freud, into a fiction writer). Senior sociologists and psychologists such as Herbert Blumer and Aaron Cicourel brought powerful (and never effectively refuted) methodological arguments against this shift away from realism and towards “science” – their arguments were dismissed as unhelpful. So here we are: knowledge disciplines concerned with Man and society appear to be “scientific” only when they deliberately reject the challenge of realism – “reality talking back”, as Herbert Blumer famously called it – and engage in abstract formalization and modeling, regardless of whether or not such formal schemes and models stand the test of empirical reality checks. Such “science”, because it dismisses this kind of systematic reality check, also becomes incapable of describing change. Experiments need to be “repeatable” in order to be “scientific”, and consequently we continuously check and test things that have to remain stable in order to be scientifically testable. The fact that actual social processes and realities are not “experiments”, and display a strong tendency to change perpetually, precludes repeatability and consequently can never be “scientifically” addressed. This feature – the bias towards stability and the incapability of addressing change – is a constant in all these “sciences”. And those who practice such “sciences” are actually proud of it. Strange, isn’t it? We live by our mythologies, Roland Barthes famously said. One of the mythologies we live by is that of “science” being necessarily, because of its own criteria for validity, unrealistic, and therefore often outlandish and outrageous in its findings and conclusions. It would be good, therefore, to return to the old debates historically accompanying the shifts in the disciplines I mentioned here, and carefully examine the validity of critical arguments brought against these kinds of “science”. To the extent that people still believe that “re-search” means “looking again”, i.e. to be continuously critical of one’s own knowledge doctrines, this would be an eminently scientific practice. PS (2017): Richard Thaler was awarded the Economics Nobel Prize in October 2017. Author jmeblommaertPosted on 27 June 2015 1 December 2018 Categories scienceLeave a comment on When “scientific” became a synonym for “unrealistic”. Responses to a survey on this topic, March 2015 (courtesy Tina Palivos & Heath Cabot). How would you define or describe research and social action? Tell us a little bit about your background and your experience in both of these areas. JB: Research is social action; the fact that the question separates both presupposes “social action” as an “abnormal” aspect of research, while research is always and inevitably social action: an action performed in a real social environment, and infused with elements from a preceding state as well as leading to effects in a posterior state. The question, rather, would thus be which specific type of social action research would be, and I understand your question as pertaining to what one could call “activist research”, i.e. research that is critical of existing social relations and attempts, at least within the boundaries of research, to amend or alter them, usually in favor of a more equitable or balanced idea of social relations. Such activist research, I would argue, takes sides in the sense that, based on a preceding analysis of social relations, researchers decide to side with the weakest party in the system and deploy their research in an attempt to provide that weaker party with new intellectual tools for addressing their situation. These tools can be self-analytic – to provide an accurate analysis of the situation of systemic inferiority in which the group is placed – or general-analytic – a critical analysis of the entire system with its various positions and challenges; and such tools are invariably discursive: the forms of analysis provide new discursive, argumentative and representational tools. Briefly describe academic knowledge or know‐how? Activist knowledge or know‐how? JB: Knowledge is one, the discourses in which knowledge is articulated are the point here. “Activist”, as in the description above, represents a discursive scale level in which “esoteric” academic knowledge is converted into discourses of wider currency (“simpler” discourses, if you wish), without sacrificing the analytical accuracy and power of the academic discourses. Do you see them as distinct? If yes, how? How do they overlap, if at all? JB: Note that the function of both discourses is different; while academic discourse is there to circulate in and convince small circles of peers, activist knowledge must circulate in and convince far broader audiences and systems of mediation (e.g. mass media). In your experience, how do these areas complement each other? JB: Personally, I could never find sufficient satisfaction in “pure” academic work if it would lack the dimension of advocacy and appeal to broader and more complex audiences. Science does have the potential to change the world, so one should not be satisfied with just changing the academic world alone. As a scientist, we all have a duty towards the power of science: to use it carefully, justly and for the benefit of humanity, not just a small subset of it. Being a scientist, for me, commits us to these fundamental humanistic duties. 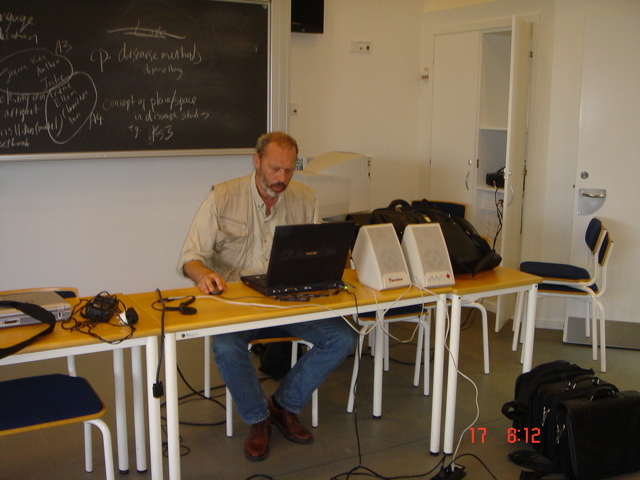 In my case, I complemented my “purely” academic oeuvre always with the writing of low-threshold, Dutch-language books (12 or 13 by now), converting research achievements into texts that could be used in grassroots mobilization, professional training or general-interest reading and instruction. This activity comes with a great deal of lecturing and debating for the audiences addressed by the low-threshold books, which is both a lot harder than academic lecturing (academics are usually very civil and polite towards one another), and a lot more rewarding (convincing and changing the minds of an audience of 300 schoolteachers, train drivers or longshoremen gives one a sense of relevance rarely matched by convincing a handful of academics). For you, what are the tensions or conflicts between activism and academic work that you have come across? What would you do (or have you done) to resolve these conflicts or tensions? -No real career bonuses can be obtained for “advocacy” work, if it doesn’t come with “purely” academic aspects; a real problem, specifically for junior researchers. In my research group, we also “count” advocacy outputs. -Debate is far harder, more violent and sometimes highly unpleasant in the wider public arena; one must be able to withstand brutal public allegations, insults and accusations. It’s not a good place to be in for sensitive souls. But let me also address the advantages and benefits. In my experience, a connection between research and activism improves research. If you wish to solve one single real-world problem of one single individual, you quickly discover the inadequacies of our toolkits and the demand to come up with better and more precise science. If I have ever made “breakthroughs”, it was because I had a sharp awareness of the fact that someone’s life literally depended on it. Believe me, that is a powerful engine. What do you think are the most important and necessary ways in which research and social action could be linked, bridged, or integrated? JB: All science should benefit humanity, general interests rather than specific ones. In methodology, we attempt to achieve this by means of generalization from isolated facts (i.e. theory). And too little is done, in actual fact, to make this mechanism into a general educational principle for all. Are there any stumbling blocks or concerns you would have around projects that seek to bridge or bring together research and social action, and academic and activist worlds, to create modes of knowledge and collaboration? How might these be ameliorated? JB: My very first answer addressed the presupposition underlying your question: the fact that “social action” is seen as separate from scientific action, and I see this as a major problem, an “ideology” if you wish, in which research is seen as in itself value-free (“objective”), to which “value” can be added after research, either as hard cash (licences, patents, industrial contracts etc) or as soft capital (impact on the nonacademic field, as it’s called nowadays). It is a crazy assumption which denies the fundamental sociological given of research: that it is, like any social action, a historically, socioculturally and politically situated activity. I always ask the question “why now?” when addressing research questions – how come we find this a researchable question here-and-now and not, for instance, in the 1970s of 1990s? The real answer to this question leads us into an analysis of scientists as people addressing problems from within a subjective position, defined only partly by “objective” facts of science and far more by the concrete social positions from which they attack questions and problems. This is clearest (while often least understood) when we talk about research funding. There is a strong suggestion that external money is “neutral” in the sense that it does not pre-script research. In actual fact, it does script it substantively. If the EU opens a funding line on a particular topic, think of “security”, this funding line incorporates the current interests and needs of the EU (combating terror and transnational crime, for instance), excluding others (e.g. not combating these things). The “priorities” defined in such funding calls are always someone’s priorities, and rarely those of the scientists themselves. Scientists have to adjust to them, and this means that they have to adjust to subjective positions defined by funding bodies, within which they can then proceed to do “objective” research. It is this myth about research – that it is in itself only “good” or “excellent” if and only if it is “value free” – that poisons the debate and the climate on science and society these days. It enables scientists to escape their accountability for what they are doing, and denies them the dialogue on effective social effects of which they should be very much part.